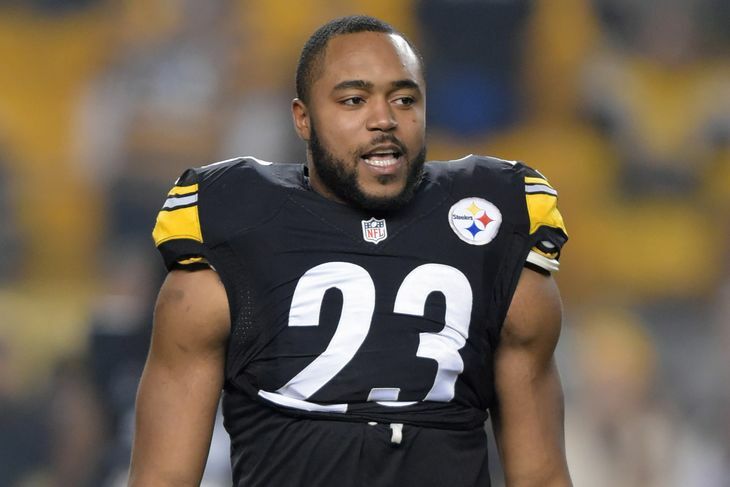 PITTSBURGH — The midweek letters from the NFL league office indicating he’s been fined have stopped popping up in Mike Mitchell’s locker. So have the penalty flags for unnecessary roughness that used to follow the Pittsburgh Steelers safety around earlier in his career. Mitchell remains one of the hardest hitters in football. He’s just doing the hitting a little lower these days, a decision he made early in the 2015 season as he tried to adjust to the NFL’s sometimes nebulous rules on what is legal and what is not. While he downplayed the notion that he’s still an “enforcer,” there’s little doubt he plays with an edge as the centerfielder in the back of Pittsburgh’s rapidly improving defense. The Steelers (9-5) have ripped off five straight wins and can clinch the AFC North title on Sunday against Baltimore (8-6) and Mitchell’s former teammate turned rival Steve Smith. 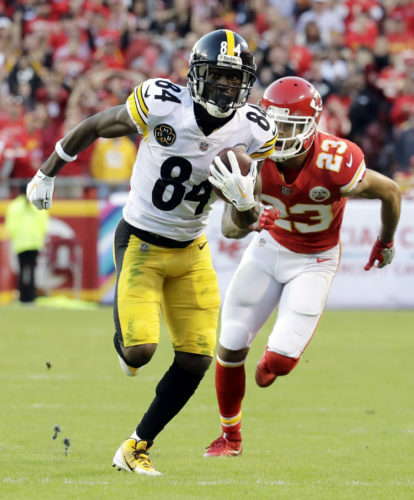 Mitchell and the eternally productive Smith — who played in Carolina together in 2013 — have jawed on the field and occasionally in the media over the past year, stemming from a shot to the back Smith took in a win over the Steelers in October 2015. Pittsburgh linebacker Lawrence Timmons is the one who actually drilled Smith in the back, forcing Smith to sit out the next game. Smith, who caught four passes for 47 yards and a 2-point conversion in the first meeting this season, also opted to keep his feelings to himself for once when pressed if he had any sort of holiday message for Mitchell. Mitchell insists there’s no reason to get caught up in a war of words. A showdown that hardly appeared imminent in mid-November following a mystifying four-game collapse that saw the Steelers cede control of the division to the Ravens. Yet Pittsburgh has righted itself behind the legs of running back Le’Veon Bell and a defense that is growing up on the job. Mitchell credited rookies Sean Davis and Artie Burns for putting in the time off the field necessary to adjust to the NFL. “I’m a little less nervous now,” Mitchell said, only half joking. Whatever communication issues that popped up early in the season have gone away, and Davis’ ability to become a factor in the backfield has allowed Mitchell to do what he does as well as just about anybody else in the league: track the ball and go hit whoever happens to have it as hard as he can. The trick, he insists, is doing it the right way. It’s been a difficult line for Mitchell to walk at times in his eight-year career, but there are signs he’s figured things out. Though he was hit twice with unnecessary roughness penalties in a loss to Miami in mid-October, he’s stayed well within the rules otherwise. And he has yet to draw a fine in 2016, a significant step for a player who was dinged $40,000 while playing for Carolina in 2013 and docked twice more last season. He called it the result of getting acclimated to the league’s crackdown on dangerous plays. NOTES: TE Ladarius Green (concussion), DE Stephon Tuitt (knee), LB Anthony Chickillo (ankle) and S Shamarko Thomas (concussion) did not practice Wednesday. … QB Ben Roethlisberger and RT Marcus Gilbert were given a rest day. … RB DeAngelo Williams (knee) was a full participant. … WR Darrius Heyward-Bey (foot) and DE Ricardo Mathews (ankle) were limited.